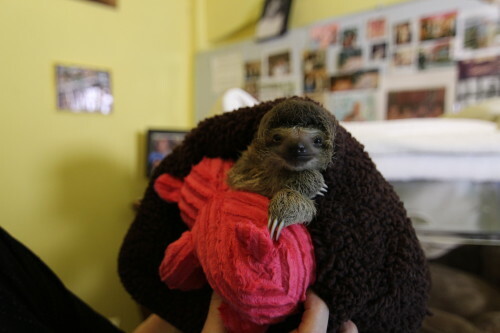 Meet the Sloths is a humorous and heart-warming docu-soap following the daily dramas of the human and animal residents of the world’s only sloth orphanage. 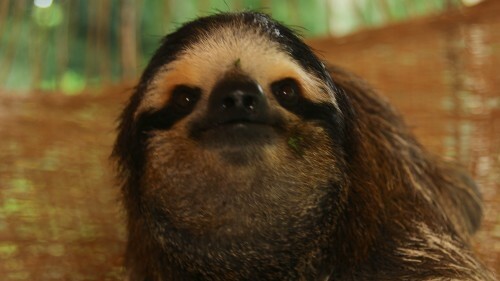 Move over Meerkat, there’s a new animal in town that’s cuter and funnier…it’s time to meet the sloths! 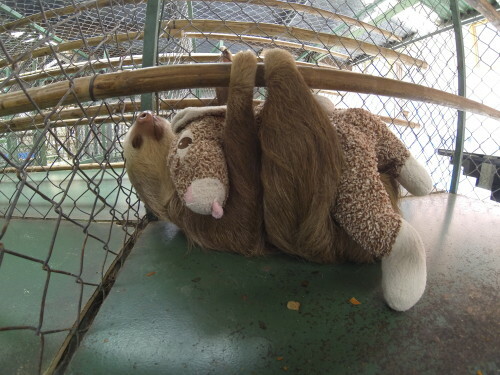 In today's Meet the Sloths – pampered princess, Buttercup, gets a new throne, a bradypus bromance develops and Sloth Scientist Becky gets to the bottom of the matter when it comes to sloth digestion. In today’s Meet The Sloths - a visit from a wild mum and baby almost ends in disaster, young Choloepus, Tigger, starts to display decidedly un-slothlike tendencies and Sloth Scientist Becky tries to find out what drives the females of the species wild. 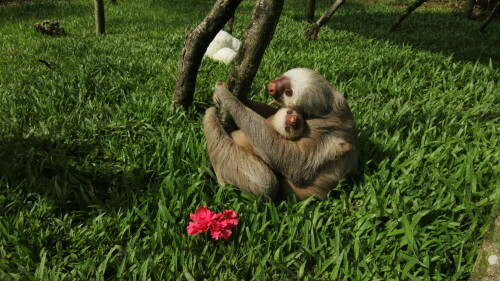 In today’s Meet The Sloths – teenage love and lust is in the air, sensitive sloth, Linus, hits a rocky patch when Claire has to leave the Sanctuary and Sloth Scientist Becky reveals which of the sloth species is a natural-born swimmer. In today's Meet the Sloths - an emergency rescue puts sanctuary vet, Marcello, on the spot, a love triangle leaves Bradypus, Samantha, in the doghouse and Sloth Scientist Becky puts sloth speed to the test. 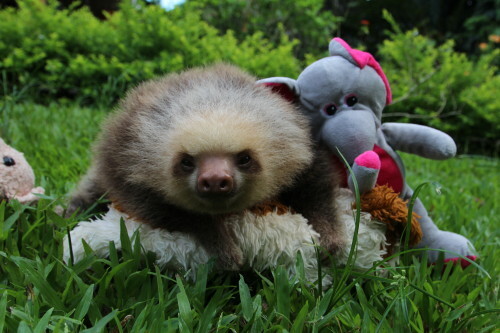 In today's Meet the Sloths - it's touch-and-go when sanctuary lothario, Randy, succumbs to an arm infection, a new arrival gets a presidential welcome and Sloth Scientist Becky unravels the secrets of sloth attraction. 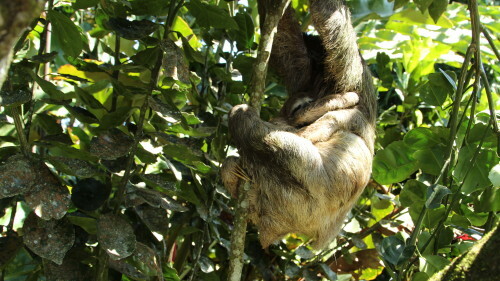 In today's Meet the Sloths - the sanctuary team try to save a poisoned sloth, Nursery Manager, Claire, turns sloth sleuth to find a much-loved missing toy and Sloth Scientist, Becky, tries to pin down the secret of slothly manliness. 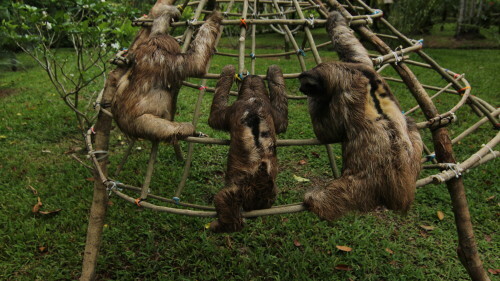 In today's Meet the Sloths - two rehabilitated sloths are released back into the wild, Claire’s babies get their very own jungle gym and Sloth Scientist Becky gets a buzz from a sloth skeleton. On today's Meet the Sloths - sanctuary favourite, Sidwiggy, puts a new tracking system to the test, Claire becomes a sloth anger management counsellor and Sloth Scientist, Becky, reveals the secret life of sloth fur.